Since 1994, I have been representing clients with speeding tickets and other traffic violations in the Mesquite Municipal Court. I am Jack Byno, a traffic ticket lawyer that assists all types of drivers, including those with a commercial drivers license (CDL) and people that have let their citations go into warrant status. If you are under 25 years of age, you must also take a defensive driving class as a requirement of the Deferred Disposition on all moving violations. If you receive no conviction for any other offense during the probation period, the charge will be dismissed. 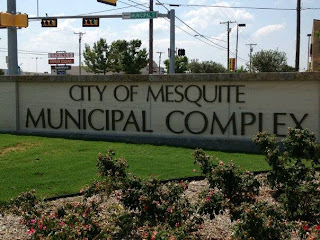 Traffic Ticket in Mesquite, Texas? Do not just pay your speeding warrant without consulting with an attorney. Just paying your ticket is the same as entering a guilty plea so the conviction will appear on your driving record. I can assist you in getting out of warrant status. In order to help you lift your traffic warrant in Mesquite, Texas, I will need to know what violation you are charged with and the citation number. Mesquite has a Warrant Search engine that you can visit to get this information. More about the Mesquite Warrant Roundup. Did you get a traffic ticket while driving a big truck in Mesquite, Texas? If you are a truck driver, you depend on your commercial driver's license (CDL) for your livelihood. Any moving violation could put your job in jeopardy. Especially, if you are arrested for an outstanding traffic warrant! When you need a speeding ticket defense in Mesquite, Balch Springs, Rowlett, Garland, and the rest of Dallas County, I can help. Contact me today to learn more about my legal services.